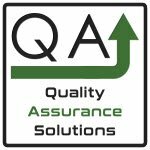 Become a partner with QA Solutions! As we rapidly expand with many daily visitors learning from this website, we invite you to join us and monetize from this growth. We are looking for partners who have a desired to make continued income by helping us increase the specialized offerings on this website. Do you have expertise, knowledge, material or something unique that cannot be easily found in the QA world? This may be your opportunity to offer this information to other QA professionals and make continued passive revenue. Together we can work on monetizing the product. If you are interested in developing QA tools and products for passive income, please fill in the below form. We will contact you immediately. If you are interested in helping your customers and collecting additional income from reselling our products. Please click here to become a Reseller. Please describe your potential idea or product. Business excellence.org focuses on improving your company's profitability, capability, sales growth and market share. Site provides extensive coverage of TQM, Quality Costs, Six Sigma and much more. Site includes forums and unique products for process improvement. Smartspeed Consulting Limited deliver bespoke business improvement projects primarily aimed at improving on time delivery performance and driving up customer satisfaction levels. Using a combination of lean, six sigma and good old fashioned Operations Management approaches each project is designed specifically to meet the client’s objectives. Quality Assurance Solutions is proud to be a founding member of B4BNetworks. B4B lets small businesses find ideal referrals and partners looking to partner with a business just like yours! Join now and start growing your business network the intelligent way. 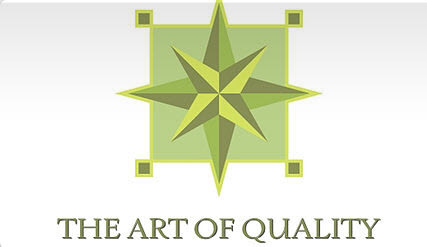 The Art of Quality Consulting offers experienced and comprehensive ISO 9001:2015 implementation assistance, including development of your List of 9001:2015 compliant master documentation for your quality management system.